In total, the local point-of-sale payments provider has harvested investments worth R322 million from two rounds of funding. Companies need to take a pro-active approach to understanding and managing data, says Nigel Williams, EMEA senior director of marketing at Commvault. A new technology platform will enable the organisation to increase its reach while facilitating easier food collection to feed the hungry. New technology that uses breath analysis instead of blood for diabetes management could replace the invasive "finger prick" glucometer. The technology career accelerator seeks previously disadvantaged young tech enthusiasts to join its Java training programme. Companies and government alike focus on getting teachers up to speed on providing pupils with digital skills. The Cape Innovation and Technology Initiative aims to help local entrepreneurs to future-proof their business for the digital economy. Called the 'Uber for groceries', OneCart has recorded 80% to 100% growth month-on-month since November 2017. As part of its $1 million pledge to Africa, Airbnb hosts the Airbnb Africa Academy and Africa Travel Summit. Using IBM Watson, the IBM Travel Manager unlocks previously unavailable insights from multiple data sources. Kgaogelo Letsebe (nee Mamabolo) is a journalist originally from Pretoria, Gauteng. She holds a BTech in Journalism from Tshwane University of Technology (Pretoria campus). 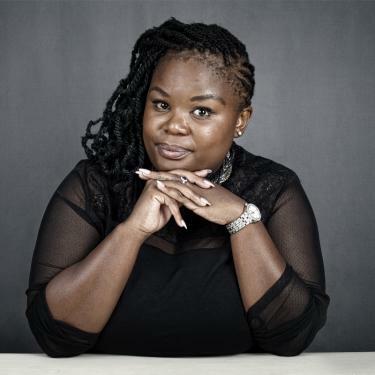 With almost 10 years in the media and printing industry, KG as she is known, has honed her writing skills in various media sectors such as business, IT, built environment engineering, and food and beverage technology industry. As an assistant editor, her work has been used in The Butcher magazine, Food Processing Africa digital magazine and Food and Beverage magazine. When she's not frantically chasing deadlines, KG spends time with her husband and daughter, meditates to SA jazz tunes or indulges in African history books.